As we continue our exploration of the multiple meanings of Rashomon, the Akira Kurosawa Online Film Club will next take a look at a movie which is often mentioned as an example of a “Rashomon like” modern film. 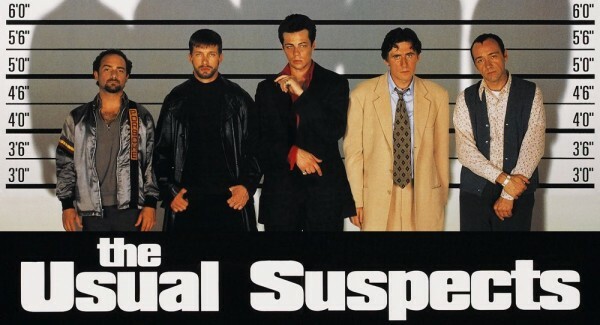 Our film for the month of September is Bryan Singer‘s 1995 noir thriller The Usual Suspects. Let’s get the obvious out of the way: despite Kurosawa’s film often being mentioned in connection with Singer’s, for the most part The Usual Suspects is actually not very much like Rashomon at all. Singer himself has referred to Kurosawa’s film when describing The Usual Suspects as “a bit like Rashomon” on a DVD extra and as “Double Indemnity meets Rashomon” around the time of its release, but no claim for a deeper connection between the two films seems intended, either by Singer’s comments or by his film. Although the two films both feature lying narrators, in Rashomon‘s case the truth becomes muddied mainly because of human nature, whereas in The Usual Suspects it is more a case of intellectual trickery. And instead of multiple points of view, we only get one. The two films appear to have very different intentions. Yet, there are clear similarities as well, and definitely much to discuss. For instance, in both films the authenticity of what we see is questionable not only because of an unreliable narrator that exists within the story, but also because of the film format itself. We as the audience have to deal with a camera that does not represent actual objective truth. Yet, is there a difference in how Singer and Kurosawa approach this idea? Both films are also built on a film aesthetic from the past. In Rashomon‘s case this is silent cinema, whereas The Usual Suspects draws from film noir. In both cases, the link is somewhat contradictory: Rashomon is after all a sound film while The Usual Suspects is filmed in colour, as opposed to black-and-white more typical of noir. In what ways do they (or don’t they) make this contradiction work? And thirdly, the very fact that The Usual Suspects is so often one of the first modern films to be mentioned in connection with Rashomon is probably an indication of how most people approach Rashomon. 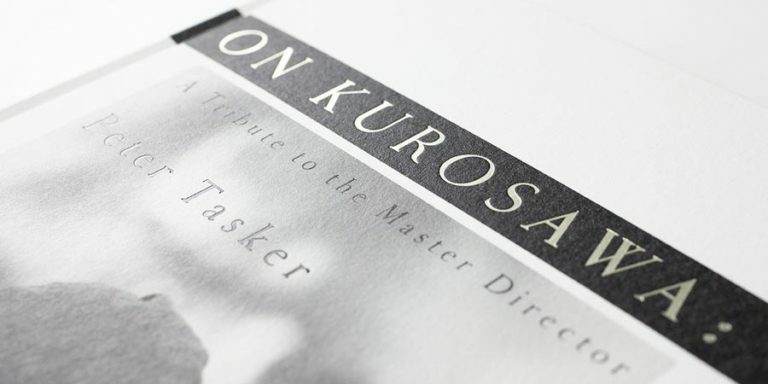 What does it say about Kurosawa’s film? It is also worth looking at The Usual Suspects on its own merits, with its stellar cast and largely positive but still to an extent divisive reviews: it has 88% rating at Rotten Tomatoes, yet some major critics like Roger Ebert were not impressed while The Washington Post’s Desson Howe called it “nothing more than an over-designed lobster pot”. The film is also very much a product of its times, and more or less belongs to the same group of films as later releases like M. Night Shyamalan The Sixth Sense (1999), David Fincher’s Fight Club (1999) and Christopher Nolan’s Memento (2000). 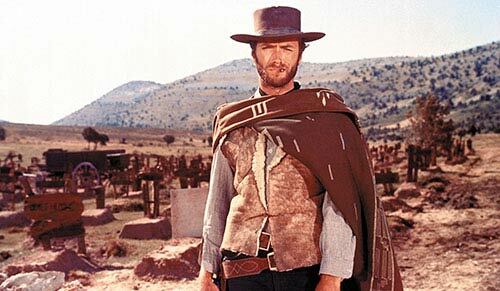 What was it about the late 1990s that had Western filmmakers explore the idea of deception, and in doing so gave birth to so many twist endings? 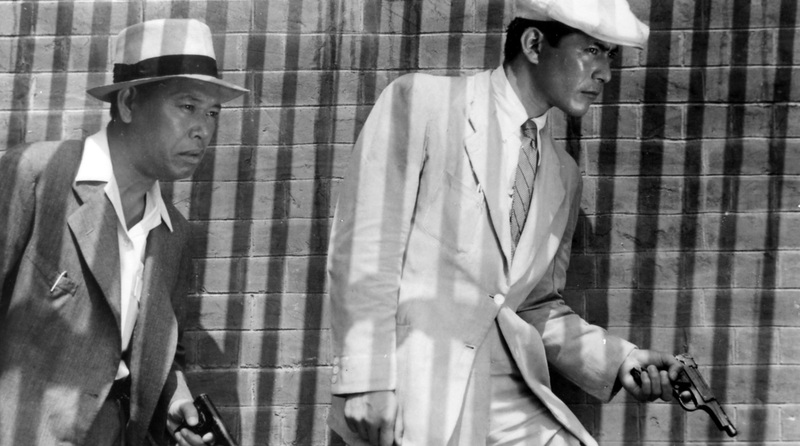 For us, The Usual Suspects is also part of a wider context within which we have set out to explore Rashomon, its meanings and some of its permutations. In addition to Rashomon which we watched last month and The Usual Suspects now, we will be watching George Cukor’s Les Girls in October, the animated film Hoodwinked! in November, the martial arts film Hero in December, and finally Jim Jarmusch’s Ghost Dog in January. For last month’s introduction to Rashomon see here, for more information about our film club see here, and for a list of previous Rashomon discussions see here. The Usual Suspects is widely available on streaming services, as well as on Blu-ray and DVD. What’s your take on the film? I didn’t bother ordering this film as I assumed it would be very easy to find in any dvd shop or on netflix – but it seems unaccountably elusive! I’m still trying to find a copy somewhere. From memory – and it is many years since I’ve seen it – I do think the link with Rashomon is a little tenuous. It seemed to owe more to a tradition of mystery story with lots of mcguffins thrown in. I remember being not quite as impressed by it as others were when I saw it, but I can’t quite recall why. The Rashomon link is indeed weak, and to be honest less prominent than I remembered. The film is also very 1990s, and not always in a good way. Additionally, I don’t think that Singer really succeeds in making a colour film noir, for while many of the visual elements of a noir film are there, they feel watered down by being in colour. A noir film is definitely possible in colour (Blade Runner is a great example), but it requires a different approach. The Usual Suspects, I at times felt, might even benefit from being converted into black and white, with contrasts adjusted. I also think that it’s definitely one of those films which seem more clever than it really is. Nevertheless, I think that it is still an interesting film. The ensemble cast is pretty good (although Byrne definitely steals the show) and it has that delicious, needlessly convoluted feeling of some of the lesser (but still great) noir films from the 1940s and 50s. The rhythm is good and the framing often quite beautiful. The story is pretty funny and the Hungarian spoken in the film even funnier. As for the Rashomon connection, I think the major link is in the way the camera lies to the audience. I’m not sure but I think this was the first or at least one of the first films to do this in the late 90s when it suddenly became a thing to do and we got a number of films with twists built around the understanding that audiences aren’t by default ready to question the truthfulness of what they see when in the cinema and are therefore easy to trick (see also Fight Club, Memento, The Sixth Sense, etc.). I think that it is to an extent a part of Rashomon‘s legacy. I actually saw another way to do this recently in the first season of the HBO series True Detective. 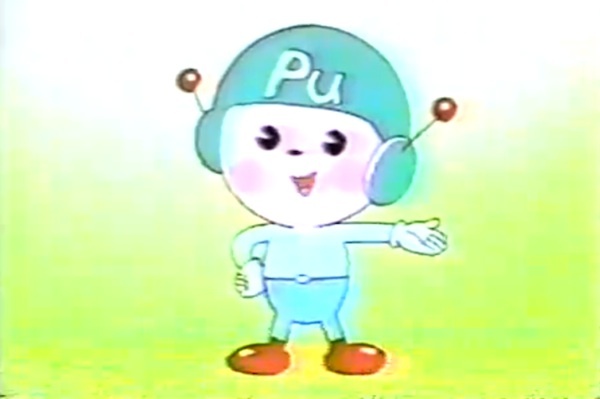 It has scenes with a voice over narration telling one thing and the camera showing something fairly different, at first with minor differences and later with bigger ones. It is of course not the first one to do this, but it does it well, and rather than a gimmick or a joke, it is used quite well for story purposes. I’ve watched this film at least a couple of times before. 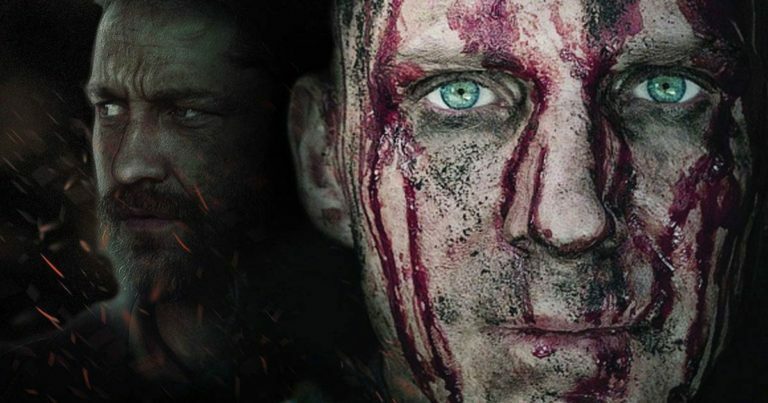 I agree with Vili’s statement that “it’s definitely one of those films which seem more clever than it really is.” I’m not a fan of Kevin Spacey or Kevin Pollak, but I have to admit that each actor did a good job in this film. I’m mostly impressed with Gabriel Byrne and Pete Postlethwaite, but they’re good in most of their movies. Sometimes The Usual Suspects gets a little too gritty for my taste, and I don’t care for so much profanity. Despite that, it’s entertaining enough. As far as comparisons with Rashomon, I understand why that’s said, but I don’t think The Usual Suspects is the best film to use as an example. Having an unreliable narrator leans in that direction, but I don’t see any more of a connection between the two films; I’m looking forward to seeing how the other films suggested in this film club compare to Rashomon. in both films the authenticity of what we see is questionable not only because of an unreliable narrator that exists within the story, but also because of the film format itself. We as the audience have to deal with a camera that does not represent actual objective truth. Yet, is there a difference in how Singer and Kurosawa approach this idea? It seems to me that Rashomon does more as far as the camera ‘not representing actual objective truth’. The four versions shown are kind of exclusive, each in one way or another not allowing the others to be entirely true. So, at least three of the versions the camera shows are not true. Correct me if I’m wrong, but it seemed to me that in The Usual Suspects what the camera showed was mostly as events transpired. What’s not definitely known is so because the camera doesn’t show enough because of the angle or its cutting away from a scene before we can see what’s really happening. This method is like deliberately misleading, but that adds to the fun of watching, especially after the film’s ended and the viewer is left to recall where he was misled. Both methods are effective and add to the enjoyment of the movie; I can’t choose one method that I prefer. But there is definitely a difference in how the directors worked, in my opinion. I watched The Usual Suspects last month more because it was a movie I’ve long wanted to see than because it was on the film club schedule. It left me wondering how Singer wound up hitting a near-home run this early in his career only to subsequently become a comic superhero hack of a director (Xmen franchise). It seems to me that Rashomon does more as far as the camera ‘not representing actual objective truth’. The four versions shown are kind of exclusive, each in one way or another not allowing the others to be entirely true. So, at least three of the versions the camera shows are not true. [Personally, I believe no version is 100% correct.] Correct me if I’m wrong, but it seemed to me that in The Usual Suspects what the camera showed was mostly as events transpired. What’s not definitely known is so because the camera doesn’t show enough because of the angle or its cutting away from a scene before we can see what’s really happening. This method is … deliberately misleading, but that adds to the fun of watching, especially after the film’s ended and the viewer is left to recall where he was misled. Both methods are effective and add to the enjoyment of the movie; I can’t choose one method that I prefer. But there is definitely a difference in how the directors worked, in my opinion. In that respect, The Usual Suspects is like Agatha Christie’s groundbreaking novel The Murder of Roger Ackroyd, at the end of which we discover (warning: spoiler) that the first-person narrator is the murderer. He simply left some critical information out of the narrative. Also, the narrative and story are clearly in the noir style. What kind of film is used doesn’t matter to me. It’s noir.